Welcome to the Dealers Insurance Services quote request system. 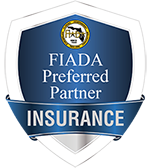 Our agency is contracted with the top insurance carriers in the industry and whether you are looking for a bond, insurance or both, we should be able to help! We are in the process of expanding the states in which we offer coverage. Completion of our online application constitutes permission for Dealers Insurance Services, LLC and their insurance company partners to obtain consumer information that will be used to determine eligibility and pricing of products offered. Depending on the product you are applying for, the information may include a credit inquiry or drivers license check. Any information obtained will be held in the strictest confidence and is not shared with any other parties. *Credit inquiries, when needed, are considered "soft" and should not impact your score. All questions on this application must be answered truthfully. I understand false statements may result in a declination of the quote request. Any person who knowingly, and with the intent to injure, defraud or deceive any insurer by providing false or misleading information is guilty of a felony. Please complete the application to the best of your ability. Each submission is reviewed by a qualified and licensed agent prior to quoting. If there is any information on the application either incomplete or not properly submitted, you will be contacted by someone from our offices for clarification. By clicking next, you are accepting the above terms and conditions. This authorization is to remain in force until rescinded in writing by the applicant. Do you do repair work for others? Please provide a brief description of the losses. Any registered tags on vehicles such as tow trucks etc.